A large number of PublishPress users have sites with custom post types. Sometimes this is done using custom code. Sometimes it’s done with a theme. Sometimes it’s done with a plugin. However, although these methods can provide many features, they rarely deal with permissions. This can be important … these custom post types often hold sensitive information. In this guide, I’ll show you how to add permissions to your custom post types. We’ll use a plugin called Capability Manager Enhanced. 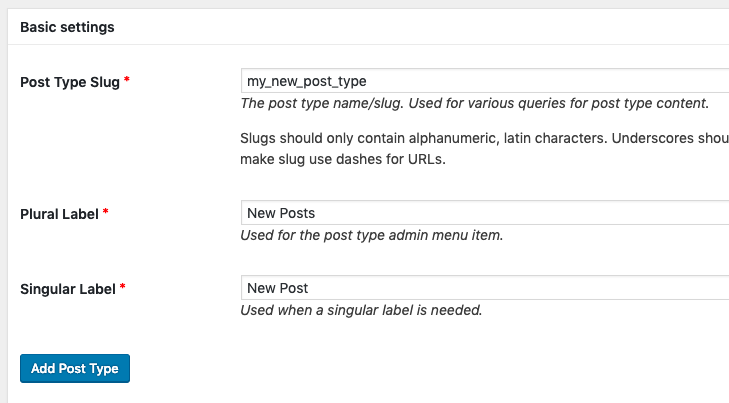 The example post types we’ll use are created using the Custom Post Type UI plugin. This provides an easy interface for generating your custom post types. After installing Custom Post Type UI, go to “CPT UI” then “Add/Edit Post Types”. On this screen you can create your new post type. I’ve called mine “New Posts”. Click “Add Post Type” to finish. Make sure you have Capability Manager Enhanced installed. 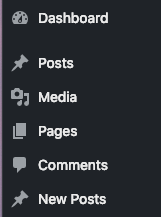 Also in the right sidebar, and check the “New Posts” box under “Type-Specific Capabilities”. 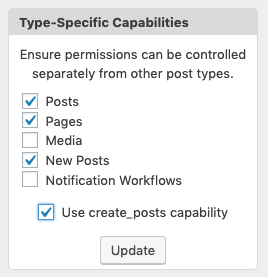 Doing this will allow you control the permissions for the New Posts.